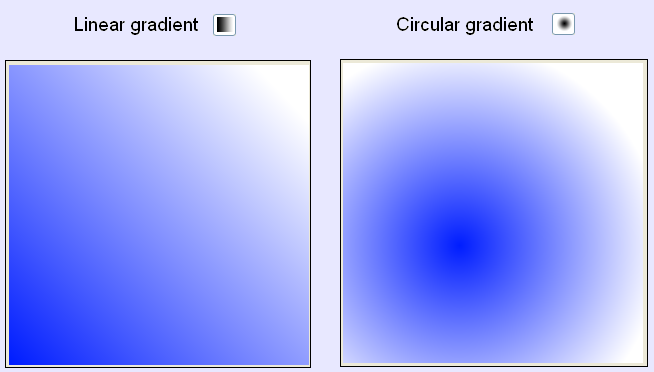 "Gradient Tool" allows set gradient in different directions. There are two gradient mods: Linear and Circular. Press to the gradient icon at the toolbar. 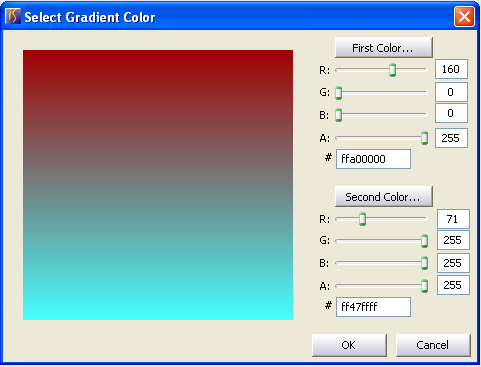 Then select one of the modes: Linear Gradient or Circular Gradient. Press right mouse button at the canvas. You will see a dialog window. Select the first color and the second color of gradient and transparence level if it needs. Draw the line at the canvas. You have got the gradient colors. Besides, Gradient Tool works with selected areas and regions. 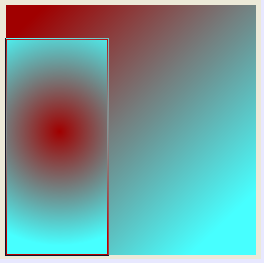 So, you can either apply Gradient to the whole image or to some selected region.